With the recent Christy Awards ceremony ahttps://www.lizjohnsonbooks.com/wp-admin/post-new.phpnd the announcement of the ACFW Carol Award Finalists (two big deals in the Christian fiction world), I realized that I’d totally failed to share some of my favorite Christian fiction titles from the last year. I meant to get this post up months ago, but I figure it’s never too late to share some great summer reads! If you–like me–are going on vacation in the second half of the summer instead of the first half, may I suggest a couple books perfect for the beach, pool, or even just a late-night reading session. 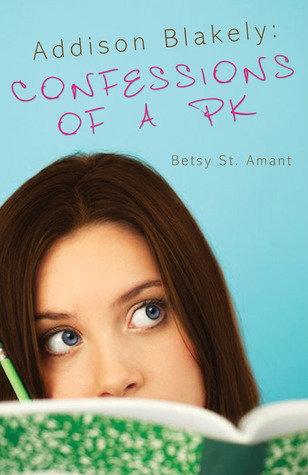 First off, a super-fun read from my friend Betsy St. Amant–Addison Blakely: Confessions of a PK. This sweet story follows preacher’s kid Addison Blakely as she tries to discover the truth about friendship, labels, and love in high school–all while living in full view of every member of church. In an unexpected twist of fate, she ends up overseeing the school’s talent show, and she can’t help but notice her widowed father’s budding relationship with her teacher. Add to that a love triangle including the town’s motorcycle-riding bad-boy and the would-be-perfect classmate, and Addison is in trouble. I zipped through this book as fast as Addison downs mochas and eats a box of gummy bears. As fun as it is, it also delves into the labels and expectations we place on others and reminds readers that walking with God is about being authentic, not perfect. Second is Short-Straw Bride by Karen Witemeyer. I’m such a fangirl of hers. I can’t help myself. I was so eager to get my hands on this book that I called around to every bookstore in my area for weeks leading up to the release, hoping someone–anyone–would have it out early. When I finally did get it, I’m pleased to report that it didn’t disappoint. 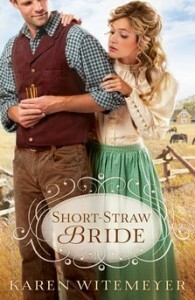 This lighthearted historical romance tells the tale of Meredith Hayes, who overhears a plot to burn down the Archer family farm. She owes a debt to Travis Archer, so sets out warn him of the fire. But when she winds up stuck on the farm without a chaperone, one of the four Archer brothers will have to marry her to save her reputation. They must draw straws to decide, but one of them loves her a lot more than a short-straw’s worth. After devouring this book, I shared it with my mom and sister, a busy mom of three, who stayed up until 2am to finish it. We’re like two peas in a pod. Have you read either of these? What books have you loved this year? What do you recommend for some fun summer reading? – I’m super-excited about this new book from my friend Betsy. She’s a super-fast writer, which is good news for her fans who are getting books in rapid succession. Rodeo Sweetheart doesn’t disappoint! It’s on sale on Thursday, so don’t miss out. I’ll share more of my thoughts on it next week. 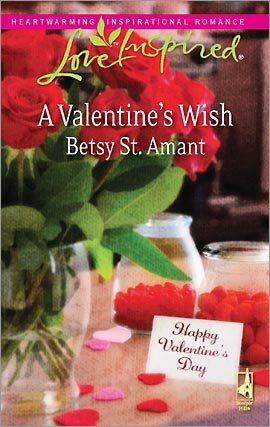 I told you last week that I was reading A Valentine’s Wish by my good friend Betsy St. Amant. I confess that I kept getting interrupted while reading the first 11 chapters. I was frustrated that I didn’t have time to get lost in it. But then I came across this wonderful scene where our hero Andy and heroine Lori have a movie night and almost kiss. The romantic tension is palpable, and it’s so sweet! From that time on, I practically locked myself in my room until I finished the book. I wasn’t going to delay my enjoyment any more. What a perfect read for Valentine’s Day. While I really liked Betsy’s first book from Love Inspired, Return to Love, I think A Valentine’s Wish is even better! It’s a classic love story of best friends with mixed signals. Their friendship is the most important thing to them, and the fear of injuring that friendship throws a wrench in Andy’s plans for love. What’s your favorite Valentine’s Day candy? I LOVE the SweetTart brand hearts with the messages written on them They just taste so much better than the old fashioned chalky ones! lol Now I want some, just talking about them! What’s the sweetest Valentine’s Day gift you’ve ever received? Did you celebrate Valentine’s Day when you were single? I did, actually! As a child, teenager and young woman living at home, my parents always gave me some of my favorite candy and a fun surprise, like new socks or a bracelet or something nice to let me know they loved me. It was very thoughtful and sweeet and I plan on passing that tradition on to my baby girl! I already have her a sack full of goodies waiting for the big V-day! Why is your husband such a great valentine? Don’t miss out on this great book! It’s a perfect Valentine’s Day gift for the woman in your life who loves to read. Available at Walmart, CBD.com, Amazon.com, and other fine retailers. Don’t miss out! 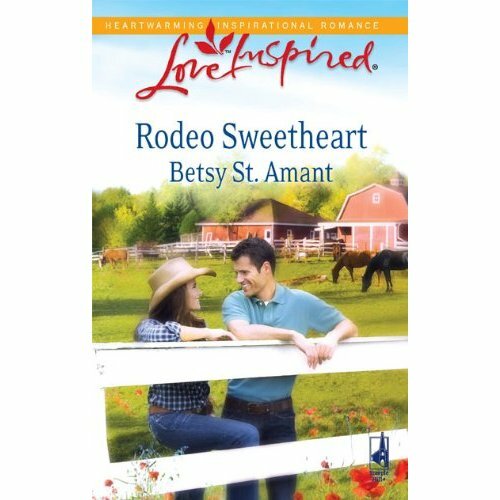 – I usually pick a random couple lines for Tuesday Teasers, but I just absolutely loved the opening line of this sweet romance by my friend Betsy St. Amant. You’ll remember that I interviewed Betsy last summer when her first book with Steeple Hill Return to Love came out. A Valentine’s Wish is a follow up to Return to Love, but it’s definitely its own story. I’m only a chapter in, and really enjoying it! Lori is a funny heroine, and Andy is a strong hero. I can’t wait to finish it, and you’ll hear more about it from me when I finish. Looking forward to it! If you’re looking for a sweet Valentine’s romance, be sure to pick this up at Amazon, Walmart, Barnes and Noble, or CBD.com.